I wouldn’t normally post about my other musical life on this blog, however this particular gig overlaps with my visual art life! 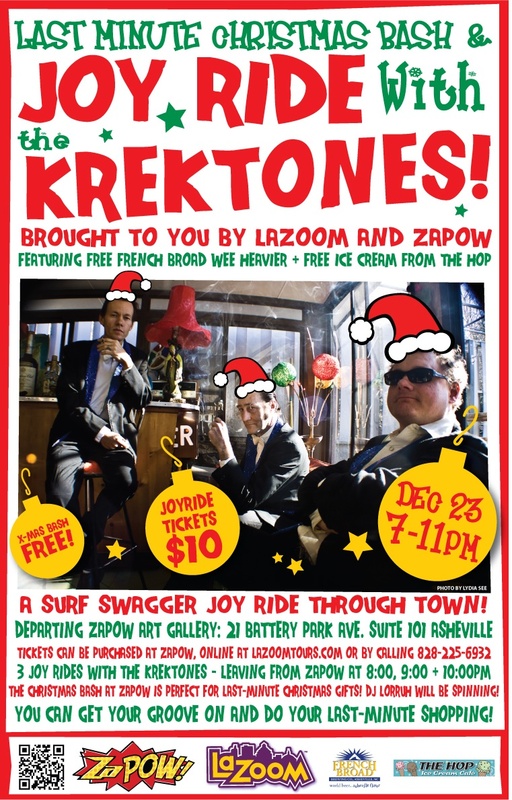 Krektones is my instro- rock-n-roll band and for the second year running we are hosting this cool holiday event! The rolling stage that is Lazoom is leaving from my gallery Zapow! Holy Smokes what could this all mean?